Am i the only guy thinking they're doing much better than expected? This is sick. Watch the game. You right man, we can see early signs of teamwork on overpass, simple but effective 2,3 man set ups. They gonna be a real scary prospect in the future. He was in New York in final on stage and he was still topfragger. They are already better than FaZe. Enyoy NiKo. I dont think so. Mouz doesnt have as skilled players like NiKo or Rain. Rain is a god imo. Just change igl and rain will shine. rain fell straight off a huge cliff. Just watch a FaZe match in 2017 and compare it to anything now. He used to be insane and he was a huge reason that FaZe won so much in 2017 and consequently a huge reason they didn't win as much in 2018. Heck, if he kept up his 2017 form FaZe probably would've won a major. 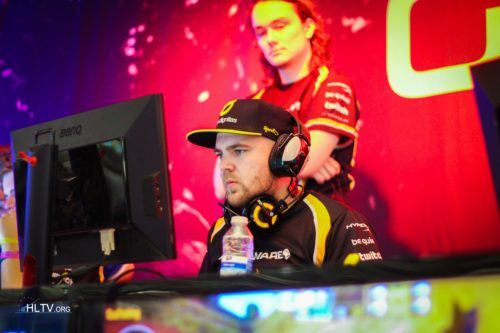 They have a lot of firepower, and karrigan knows how to IGL a puggy style with little practice. Why you not in mouz then? The thing is - why do you compare them to faze? Is it because ur retarded or just common sense? It took you 6 minutes to find a comeback. Still it's something I only can laugh of. Thank you. -50IQ - you didnt even correct my grammar. Instead you complain about im sitting here 24/7. You have 8337 comments. I have 113. Can you please stop now? you're embarrassing yourself. Damn did I hit right in the feels? Imagine being triggered by grammar on a cs forum lmao. Suddently after being called out your reply isn't immediate ahah. Doesn't get much more obvious, the angry kid that starts a conversation insulting is now feelimg emotional. Grow up! "choke team, won't win any tournament for sure still better than faze until they get igl" Mate iknow ur doing school at the moment. But please. Step up - you can do much better if you use your brain... Oh wait.. You can't. Sit down and learn some lessons instead of fooling yourself. "1-16" And that stands for? Your life? i don't think he means trying out 12y olds, but give the chance to new players on the pro scene that play at low level but have potential. Is not certain, is a very big gamble and mousesports is taking it. We still don't know if frozen will work at lan and such, so... And the situation is even worse than getting some FPL players(that is a extreme example), but there is teams out there that aren't willing to take even players from tier 2/3 teams. with karrigan in team 0 trophies for year inc.
my dude, what did he do with every team he stepped into so far? Dude as soon I figured out that Karrigan can play for mouz, I got excited.